← When Do You Know If Hospice Care Is the Right Choice? Can we ever really prepare ourselves for the time when hospice care becomes necessary? While there’s this grueling finality to sending off our loved ones to a hospice home, it also marks the arrival of new beginnings. Choosing to partner with a reputable provider of Hospice care in Avon Indiana, wonderfully caps the journey of life for the people you love. The doctors have spoken, and they’ve recommended hospice care as the best choice to help provide your loved one comfort, security, and happiness at the tail-end of their life. Hospice services in Indiana center on palliative care and symptom control. Since curative measures are no longer practical and wanted during this phase in a patient’s life, members of the hospice staff focus on managing the pain and symptoms of an advanced-stage illness so that the individual can spend the remainder of their days in comfort. 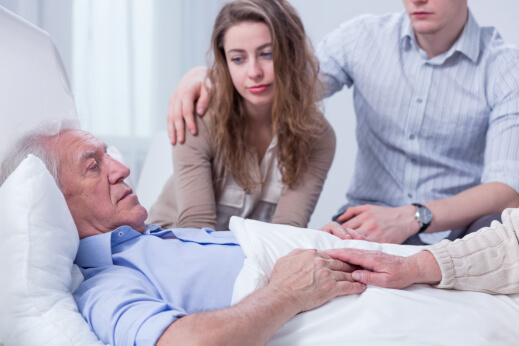 Other hospice care solutions include counseling, bereavement support, and respite care. Life’s Journey of Avon, a provider of quality Inpatient hospice care, has a team comprising of physicians, nurses, counselors, social workers, therapists, chaplains, aides, and volunteers, who are all committed to addressing the various needs of patients and their families. We recognize that this can be a grueling time for everyone involved and, as such, we will do whatever we can to offer our support and assistance. For individuals with life-limiting illnesses, it can be difficult to focus on being happy when all you feel is the pain and suffering brought about by your condition. For family members, it remains a gargantuan effort to concentrate on work and paying health bills when all you can do is think about the horror your loved ones must be going through. It’s a tough situation for anyone to be in, which is why Life’s Journey of Avon encourages you to partner with us today. We believe that patients on the end-of-life journey can still live the remainder of their days in meaningful ways. When they have a team of dedicated and passionate health professionals and paraprofessionals, tireless counselors and volunteers, and latest in palliative care and symptom control to rely on, the impossibility of finding fulfillment in their eventuality has now become a possibility. This entry was posted in Hospice Home and tagged health professionals, hospice care, palliative care. Bookmark the permalink.